Packaging Dimension (WxLxH) 32x23x8.5 cm. Improve fine motor skills as well as learn about colors, shapes and numbers. 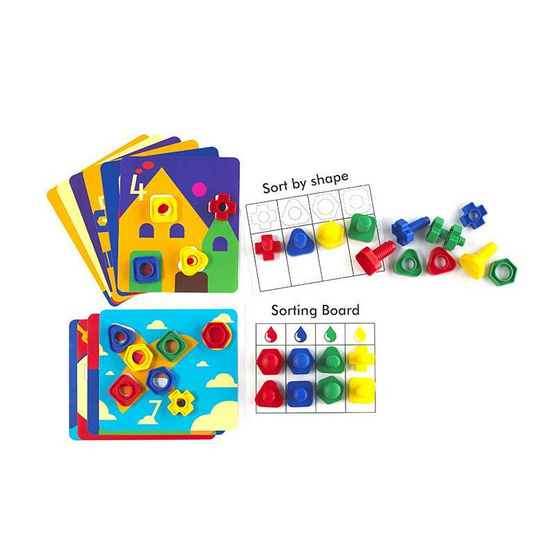 Set includes 32 nuts & bolts and 12 durable plastic activity cards. Card size 21cm x 24cm.